It was just announced today that the top ride from Shanghai Disneyland is coming to the Magic Kingdom in time for the parks 50th anniversary. The ride will side to the left of Space Mountain in a new area of the park. And that's not even the 'complete' list. What say you, Programs? Footage has finally been released of the actual ride! Take a look and enjoy... Now if we could only get this in the states! Tron 3 seems to be happening, after a very quiet period of development from Disney. According to reports out of Vancouver, the film will shoot there starting in October, with Garrett Hedlund set to return to the role he played in Tron: Legacy. What’s more, we’re told that Joseph Kosinski is returning to direct. This isn’t confirmed by Disney, but below you can see the info we have right now. In a surprise move, Disney Games has begun releasing their catalog of games on Steam, recently. 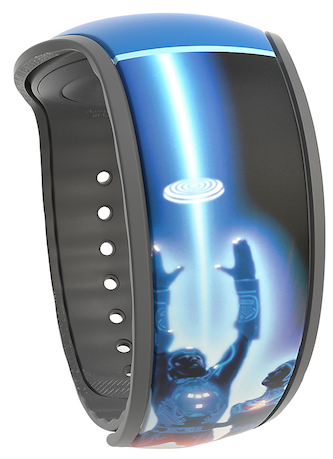 Among the titles available there, that will be of particular interest to fans of TRON, are TRON Evolution and TRON 2.0. 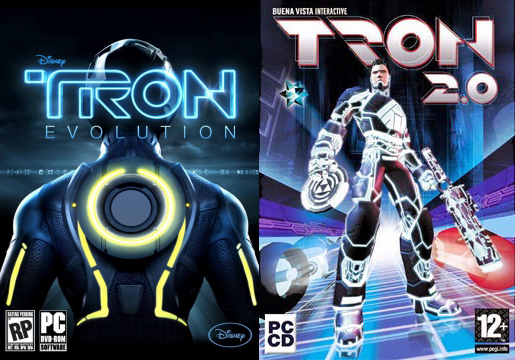 The Steam release of TRON Evolution is practically indentical to the Retail DVD PC version, still using Games for Windows Live for online Multiplayer and achievements. You can share your thoughts about the Steam release of TRON Evolution, in this I/O Forum topic here on TRON-Sector. The Steam version of TRON 2.0 is also identical to the Retail CD/DVD PC version, with the Official v1.042 Patch pre-applied. But online Multiplayer is broken, due to the fact that the GameSpy service the game relied on has since shut down. However, the TRON 2.0: Killer App Mod fixes the broken Multiplayer, so it functions again. It also adds widescreen support to the game, and numerous other improvements. You can find out more about the mod, and share your thoughts about about the Steam release of TRON 2.0, in this I/O Forum topic here on TRON-Sector. 02/24/2015 UPDATE: Both TRON Evolution and TRON 2.0 are on sale on Steam at 50% off, until Mar. 2, 2015. The original 1982 TRON soundtrack -- with a score by Wendy Carlos: who also penned scores for Stanley Kubrick's cinema masterpieces "A Clockwork Orange" (1971) and "The Shining" (1980); accompanied with songs by the perennial, classic rock band Journey -- is set to re-released on vinyl! The sale date is pending -- but it's definitely in the works -- click here for more details! UPDATE: Currently scheduled for release on July 22nd! Olivia Wilde, who played Quorra in the TRON: LEGACY movie, and lent her voice to the TRON: EVOLUTION video-game and TRON: UPRISING animated series, is seen here sporting a classic TRON t-shirt while in West Hollywood on January 8th. The twenty nine year old actress is expecting her first child. Click the above photo to go to the full article and more photos! Actors Bruce Boxleitner and Cindy Morgan recently reunited for a celebrated return to “The Grid” — meeting and greeting several fans at a Los Angeles area convention. Many brought TRON related items for them to sign — a variety of memorabilia that showcased the actors in their iconic TRON and Yori roles from the original 1982 TRON movie, as well, persons brought items from 2010's TRON: LEGACY, and the 2012/2013 TRON: UPRISING animated series. Here’s exclusive video I shot of Boxleitner and Morgan discussing the deleted scenes from the ’82 TRON movie, in which they fondly recollect moments filming them, sharing intriguing details and thoughts… some resulting in hilarious moments! Click the above photo to go to the full article and video! TRON Reunion! See Bruce Boxleitner & Cindy Morgan! Iconic TRON actors Bruce Boxleitner and Cindy Morgan will be making a special appearance together in the Los Angeles area on 11/16/13! The event is at Nuke The Fridge Con -- held inside the Frank & Son Collectible Show located at 19649 E. San Jose Ave. City of Industry, CA 91748. For more information, click here! Click on the photo above to view video of Boxleitner and Morgan at "TRON Day" -- held at the 2011 D23 Expo! * Above photo description: Boxleitner and Morgan playing their classic TRON characters: Alan and Lora -- to a huge audience at the live TRON: LEGACY "Flynn Lives" ARG (Alternate Reality Game) event in San Francisco on 4-2-10. At the recent Creative Arts Emmy Awards held on September 15th in Los Angeles, California -- Art Director Alberto Mielgo picked up his second award for his visually stunning work on the TRON: UPRISING animated series -- his first was awarded by ASIFA: The International Animated Film Society for Best Production Design in an Animated Television/Broadcast Production -- his Emmy, also in recognition of his Art Direction: Outstanding Individual Achievement In Animation. West: Earlier this year you won an Annie Award for your work on TRON: UPRISING, now you have an Emmy -- how does it feel to have your work on the series acknowledged with these awards?" Mielgo: Recognition is always very encouraging and motivating. These awards are as far as I can get in Art Direction, so unfortunately -- they make me feel like an unbearable prima donna! This show deserves attention -- and we are receiving it. Everybody has been working very hard, giving their time, souls and passion. My name is on the statue, but these awards very much belong to all our dream team, now sadly dissolved around the world. West: Looking back on the series -- what was the most exciting thing artistically about working on it? Mielgo: The very early days, developing the show when I was by myself with Charlie Bean (Executive Producer and Director) and Robert Valley (Lead Character Designer) -- giving shape and style to this world. Working from scratch. West: Since the series has now ended -- if TRON was to return to animation, what are your thoughts on how you'd like to see it further explored? Mielgo: The series already has a great amount of rules now in style. And according to the audience, it works. I wouldn't go away from this look at all, but I would definitely explore new locations… In terms of story, who knows what's going to happen with these characters dramatically now waiting in "a box"...! You can watch the TRON: UPRISING animated series via Netflix, iTunes, Xbox Live Marketplace, the Playstation Store, and Amazon.com Instant Video -- each venue offers full Hi-Definition and Standard Definition viewing options. Excellent montage of TRON: UPRISING footage -- the official music video for the 3OH!3 and JT remix of Joseph Trapanese's "Lightbike Battle" -- from the TRON: UPRISING soundtrack. Check out this new "Sheriff Style" TRON: LEGACY/UPRISING Light Cycle created by Parker Brothers -- who have been making custom, driveable Light Cycles since 2010. Here's a recent, four minute compilation reel put together by the incredibly talented artist Alberto Mielgo -- who was the Art Director/Production Designer on TRON: UPRISING. In it, Mielgo showcases some of his favorite scenes from the entire series. Click here to view the reel. Mielgo worked on TRON: UPRISING for three years, and received an Annie Award for Best Production Design in an Animated Television Production on February 2, 2013: Presented by the International Animated Film Society -- ASIFA Hollywood (annieawards.org). The stunningly epic, highly stylized artwork truly shows how unique and ahead of its time the series was. I've always thought the unused PeopleMover track in Tomorrowland at Disneyland in Anaheim, California would be perfect for a TRON-themed, light cycle ride -- a fantastic synergy of the futuristic/sci-fi themed land and the iconic, cinematic light cycles -- which are virtually identifiable worldwide. As such, it'd make sense as an attraction with a universal draw. Now, MiceAge is reporting there's a strong likelihood of this coming to be in the near future. MiceAge says: " -- while attention turns to Tomorrowland. Borrowing a new ride system and theme to be used in Shanghai’s Tomorrowland, the second project in the pipeline for Anaheim is a Tron themed speeder bike ride using much of the old People Mover route. This is an idea that has been thrown around in the past, but in recent months it’s gained serious steam and is quickly nearing a green light from Burbank." Disneyland's Tomorrowland previously hosted a high speed ride -- Rocket Rods -- using the PeopleMover's tracks from May 1998 to April 2001. That ride, though very popular and highly entertaining, was short-lived because all the necessary changes to sustain them vs. the previous, easy going/slow moving cars of the PeopleMover weren't implemented. The original PeopleMover ride ran from July 1967 to August 1995. This wouldn't be the PeopleMover's first encounter with a TRON theme. When the original TRON movie first opened in 1982, riders were able to enter "The World of TRON" via the PeopleMover when passing through an enclosed area of the Innoventions building, where imagery from the film played on two large screens that surrounded riders. A humorous bit about that, before entering, the booming voice of the MCP (Master Control Program) interrupted the other pleasant sounding ride music when entering -- warning riders that they had: "…. invaded the electronic realm of the Master Computer Program…" and to "…prepare for the Game Grid of TRON!". Of course, the name of TRON's villain in the movie is actually the Master Control Program -- a change made most likely to inform uninitiated riders that this tied into the computer realm.